Need a fast meal that doesn't heat up the kitchen? These pressure cooker chicken lettuce wraps are what you need! They're also a great party appetizer — just set out a stack of lettuce leaves and let guests dig in. Here’s a light dinner that’s easy to make last-minute and doesn’t heat up your kitchen! Pressure cook the savory chicken filling, then spoon it into lettuce wraps for an easy meal. This is a versatile, adaptable recipe—a riff on the stovetop Teriyaki Lettuce Wraps here on Simply Recipes. I’ve made it with ground chicken, but you could also use pork. Switch up the vegetables if you like, too. I’ve made versions with zucchini, with mushrooms (about eight ounces), and a mixture of both. I’ve also doubled or tripled the amount of vegetables called for here, which helps to stretch the servings a bit. While the filling is cooking, you can wash and dry the lettuce. Butter lettuce is my favorite, since they’re easy to fold up and eat. The leaves are soft and tender, yet large and sturdy, so they hold plenty of filling. You can also use iceberg, romaine, or even large spinach leaves if you like. Serve the lettuce wraps on their own as an appetizer or main dish, or with some steamed rice alongside. Oh, and a bottle of sriracha sauce is mandatory in our house, too! Ground pork will also work in place of the ground chicken, or chopped mushrooms (about 8 ounces) in place of the zucchini. 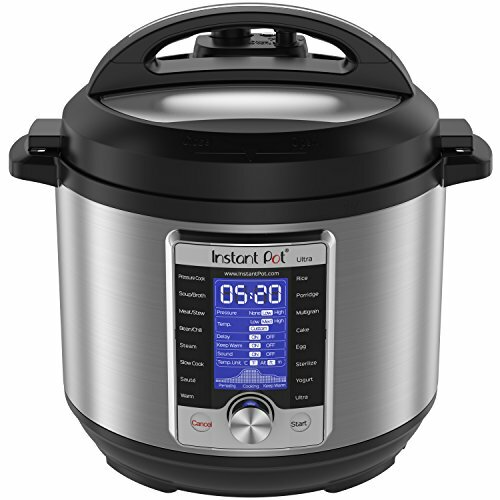 If you're using a stovetop pressure cooker, reduce the pressure cooking time to 8 minutes. 1 Make the sauce: Combine the soy sauce, rice wine, oyster sauce, and water for the sauce in a small bowl. Set aside. 2 Begin cooking the chicken mixture: Select the “Sauté” function on your electric pressure cooker and heat the oil. Sauté the onion, garlic, and ginger for about 2 minutes, just long enough to take the raw bite out of the garlic. Add the zucchini, ground meat, water chestnuts, and 1/2 teaspoon of salt. Use a wooden spoon or spatula to break up the meat and sauté for 3 minutes. It’s fine if the meat is not yet fully cooked through—you just want to make sure it is broken up into small pieces and mixed in with the diced vegetables. 3 Add the liquid and seal the pot: Stir in the soy sauce, oyster sauce, rice wine, and water. Quickly close the pot and lock the lid into position. Since this recipe uses a minimal amount of liquid, you want to make sure to trap as much steam as possible. 4 Pressure cook the chicken: Cancel the “Sauté” program on the pressure cooker, then select the “Manual” setting and set the cooking time to 10 minutes at high pressure. Make sure the pressure release valve is set to "sealing." 5 Serve the chicken with lettuce wraps and toppings: Use a slotted spoon scoop out some of the chicken mixture and place into the lettuce cups. Top each cup with some of the green onions, chopped peanuts, and cilantro. Serve right away. How much time needed to make this recipe. Hi, Satish! Emma here, managing editor. This takes about 30 minutes total to make. Enjoy! Thanks for info on stove top pressure cookers. I love mine and use it often.